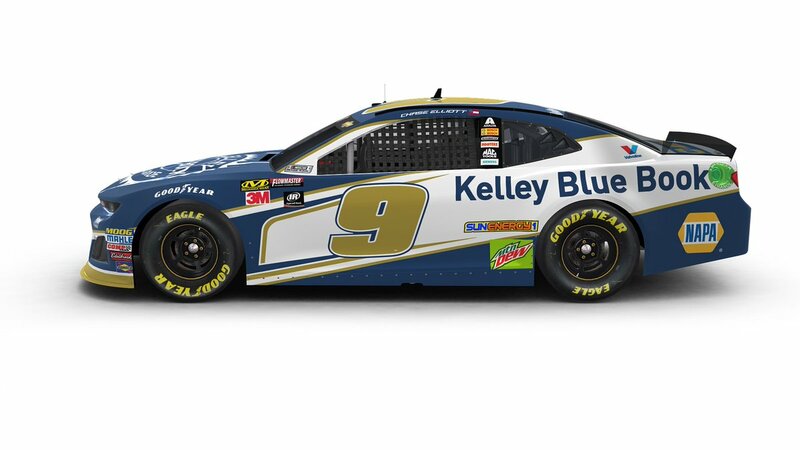 Chase Elliott #9 Kelly Blue Book Chevy Camaro-Reversing the colors from last year could have worked, but the design is a bit cluttered. The design scheme could work with a red car, but it isn’t as good as a blue scheme. All things considered, I give it a C.
David Ragan #38 Shriner’s Children’s Hospital Ford Fusion-The shades of red and blue are good, and the stripe looks good too. 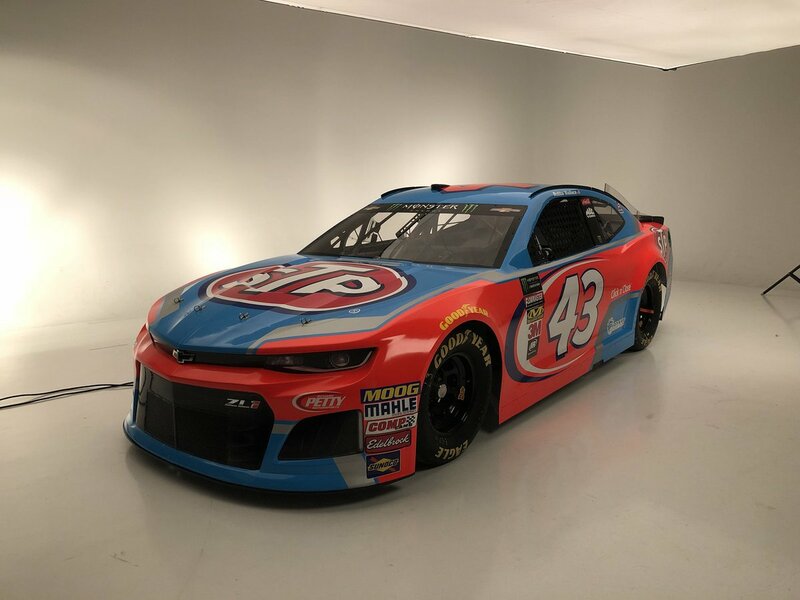 It’s an all around good look, and earns an A.
Darrell Wallace Jr. #43 STP Chevy Camaro-My one complaint about this scheme is the silver on the borders. The silver is tacky, and takes an A scheme down to an A-. David Gilliland #92 Carquest/Black’s Tire Ford Fusion-The wave motif could work with a different color scheme, and whatever those yellow things on the wave are, they are visually distracting. It could be better, but this scheme earns a C-.